Nothing says clean, country living like Shaker-influenced furniture. 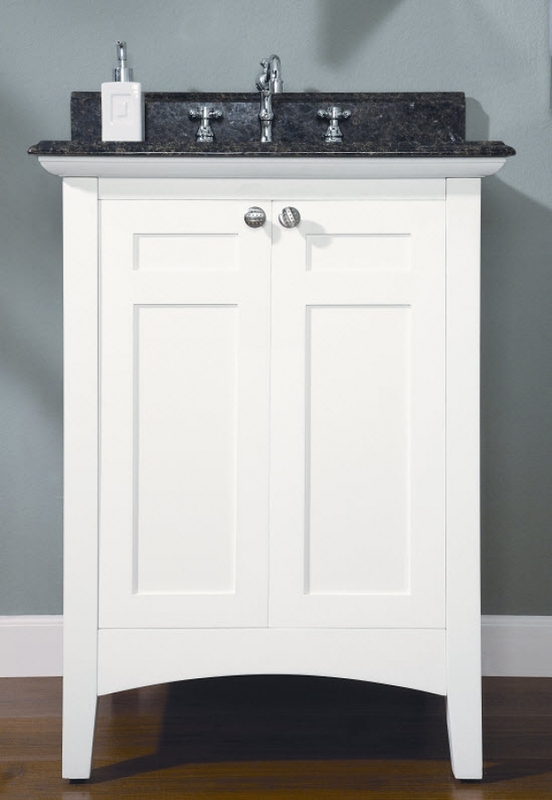 Bring that look to your bathroom with this simple white vanity. Cabinet opens on a single shelf storage space. Choose a granite or marble counter top to offset the simplicity of the piece. Counter, sink and fixtures sold separately. Matching mirror(s) available for purchase. Price is for base cabinet only, see drop down menus for counter top with sink pricing. 5 stars all the was was good. 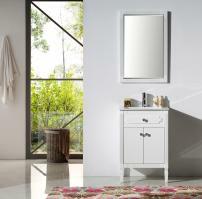 order process was great, delivery was easy and Vanity is fabulous. Excellent, personal customer service, fast shipping! Quality products, fair pricing!